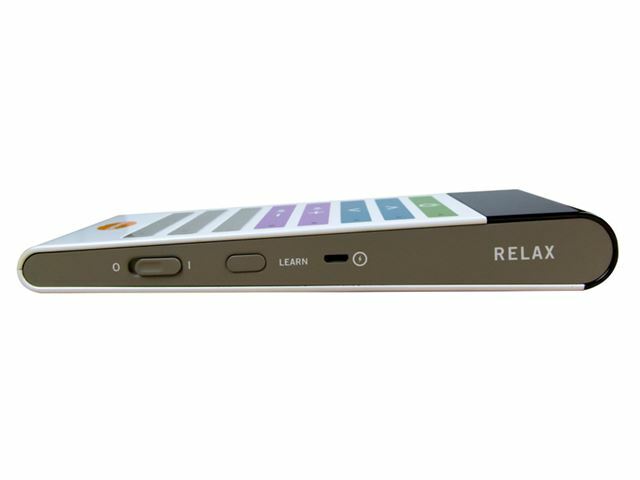 The NEW Relax is an accessible infrared (IR) learning remote that has an updated modern design and provides simplified control of almost any IR device. 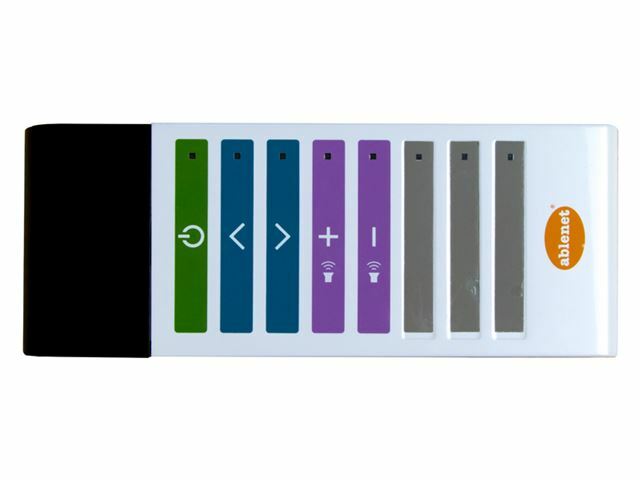 With a light touch or with the use of one switch, an individual can control up to eight functions on their favourite IR device. 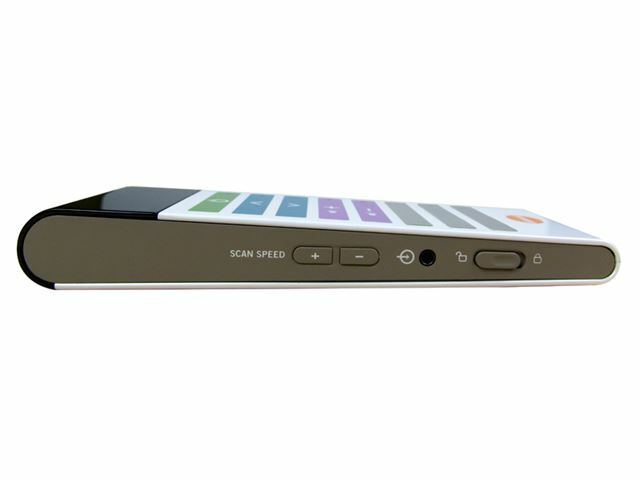 With one switch, a user can either access a single function or access all eight functions by using the auto scan with adjustable scan rate. 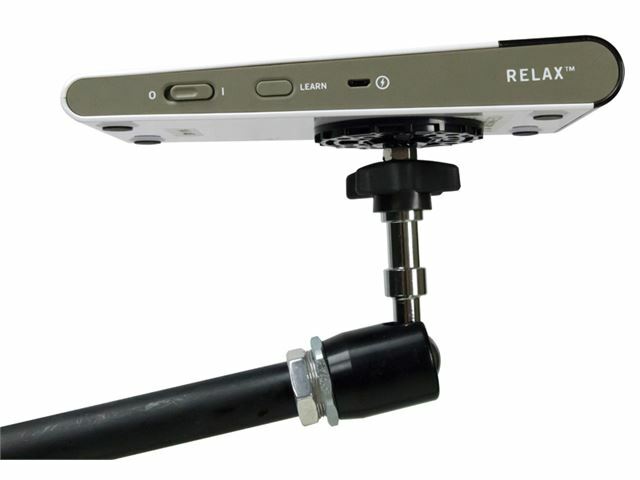 A large and simplified interface makes it easy to find the necessary functions for almost any IR device. The large activation area measures 60mm x 10mm and uses a capacitive touch sensor that requires almost no force to activate. 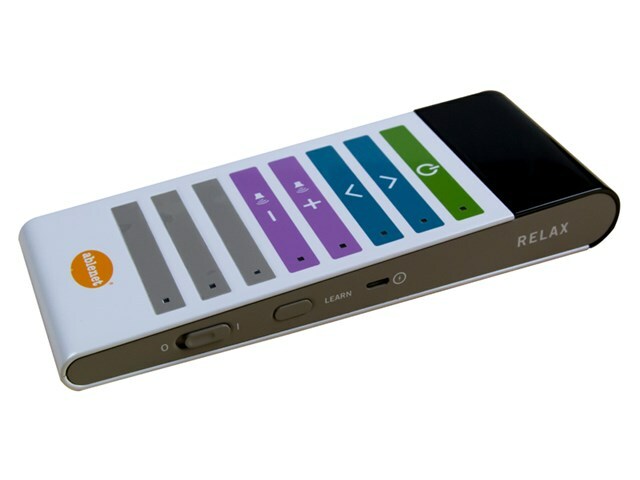 The NEW Relax has the ability to learn functions from almost any IR remote. Wall charger with international plugs. Dimensions: 187mm L x 74mm W x 27mm H.